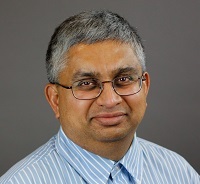 Jay Jayashankar, Materials & Process Development Engineer, Cardiovascular Systems, Inc.
Jay Jayashankar currently leads the development and productization of surface coatings for minimally invasive, miniature surgical device components for Class II and Class III devices. He has over 20 years of experience in process development and high volume manufacture in the areas of electro / electroless plating, thin / thick film deposition, surface modification and super polishing of metallic and ceramic materials. His technical expertise also spans corrosion, electrochemistry, metallurgical alloy development and ion and laser beam processes, with over 15 issued patents in the above areas. He holds a Ph.D. in Materials Science and a graduate certificate in Med Device Quality /Regulatory affairs.